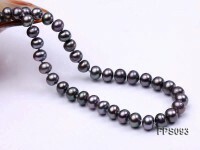 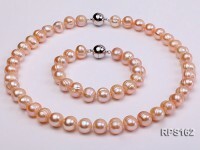 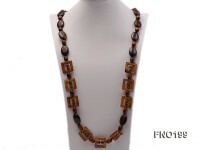 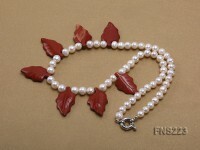 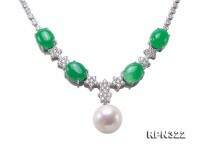 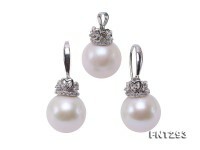 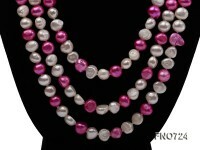 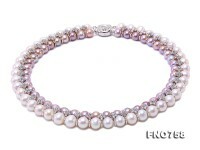 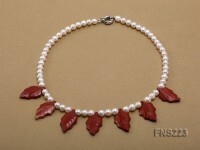 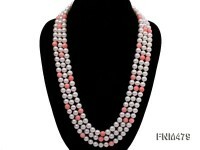 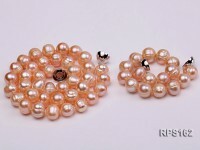 Classy 11mm white round cultured freshwater pearl necklace for sale. 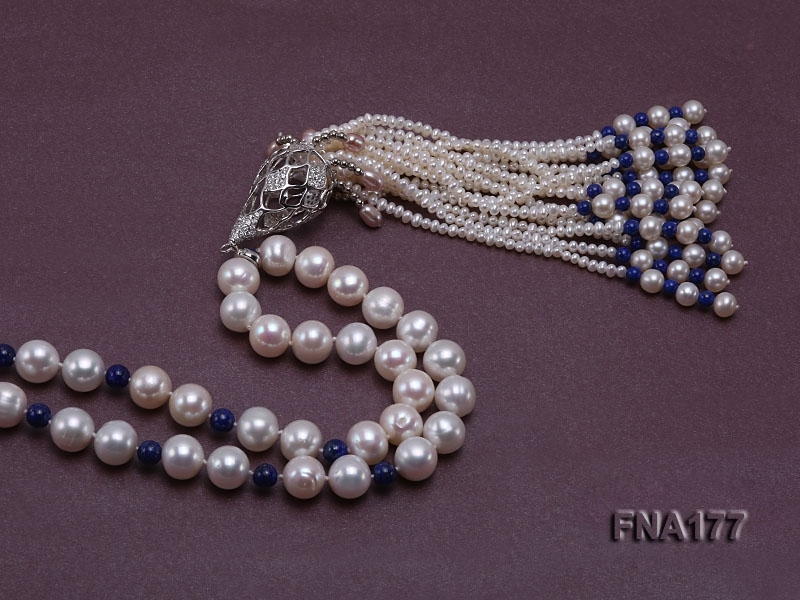 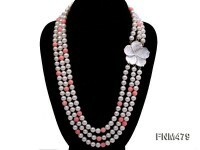 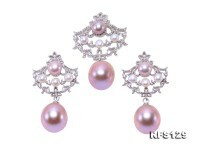 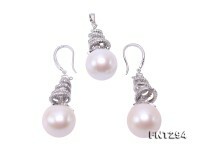 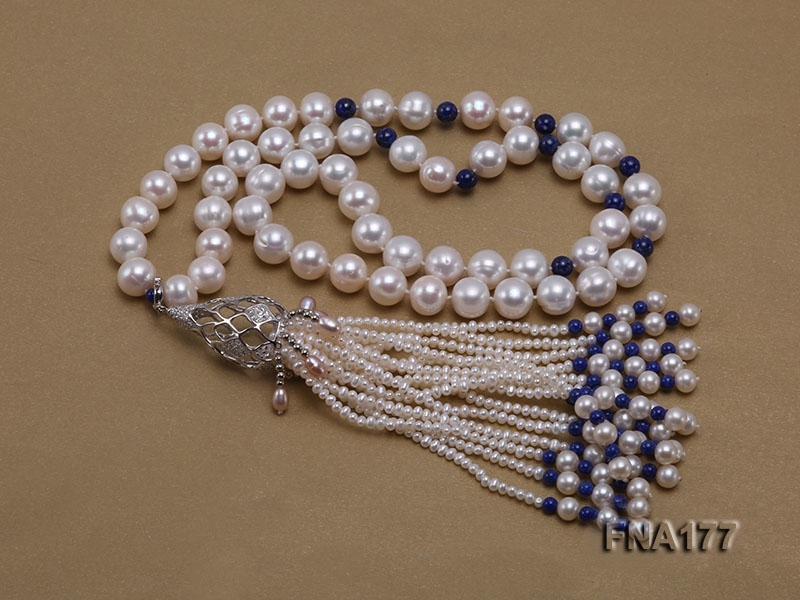 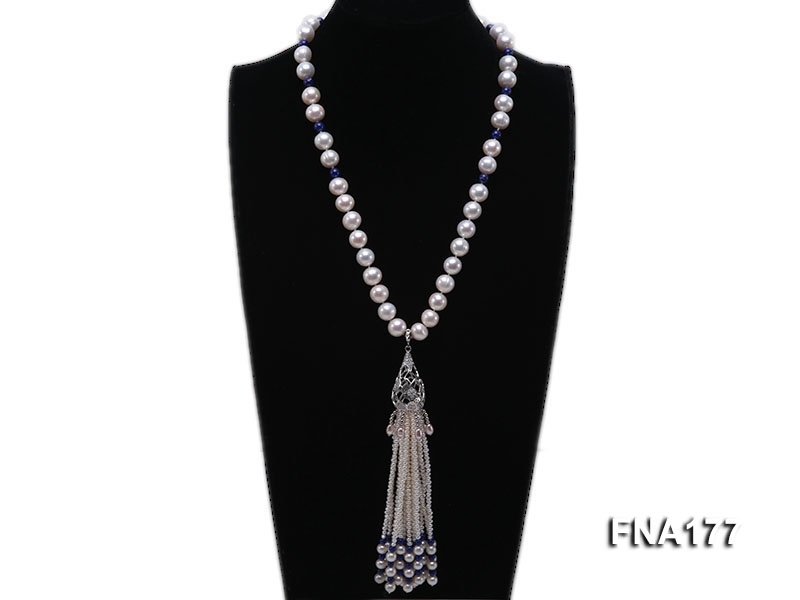 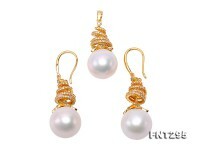 The long pearl necklace carries a bunch of delicate tassels made of 3mm white freshwater pearls and 4-6mm lapis beads. 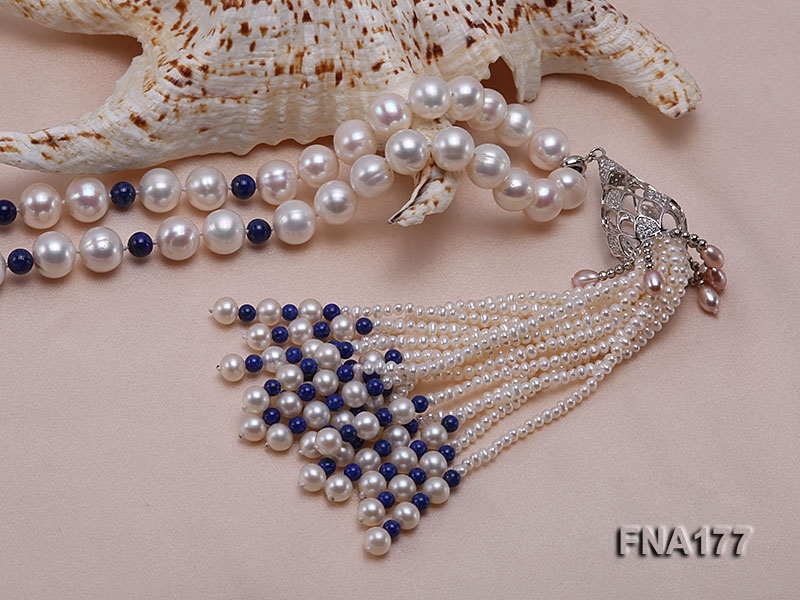 At the upper front, there’re a few natural 6mm lapis beads in between every two pearls for decoration and better wearing effect by color variation. 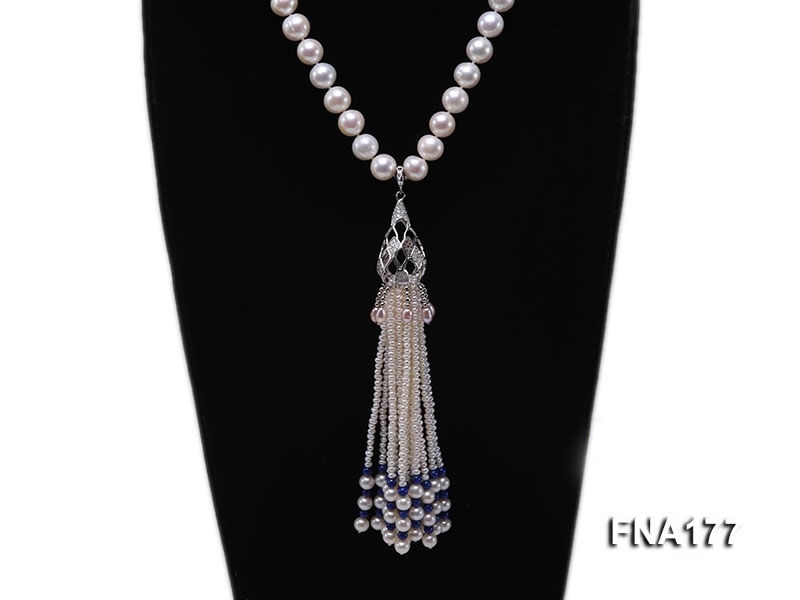 The pearl tassel necklace features elaborate design, fine craft and good pearl quality, which makes ideal party jewelry to go with maxiskit for a wedding occasion.